American Apparel Inc has filed for Chapter 11 Bankruptcy. The Los Angeles based retailer has been plagued with financial problems, and has reportedly not made a profit since 2009. Even worse, former CEO and founder Dov Charney has been facing accusations of misused corporate funds, and allegations that he, on multiple occasions, breached the company’s sexual harassment policy. The bankruptcy filing came after American Apparel had reached a deal with 95% of their secured lenders. The Chapter 11 restructuring agreement, which will take American Apparel private and hand almost complete control to its largest bondholders, was designed in an attempt to cut the company’s crippling debts and interest payments. American Apparel has seen its top competitors grow, as their own business has slumped; retailers such as Forever 21 and H&M have seen their profits rise with cheaper, more fashionable products. Since being fired by the board in 2014, former CEO Dov Charney has undertaken efforts to exert control over the company, amid an investigation over what the retailer called “alleged misconduct.” Currently, it is not known how the bankruptcy filing will affect Mr. Charney’s financial situation, but it has been reported that he has filed a $30 Million defamation suit against the hedge fund controlling American Apparel. 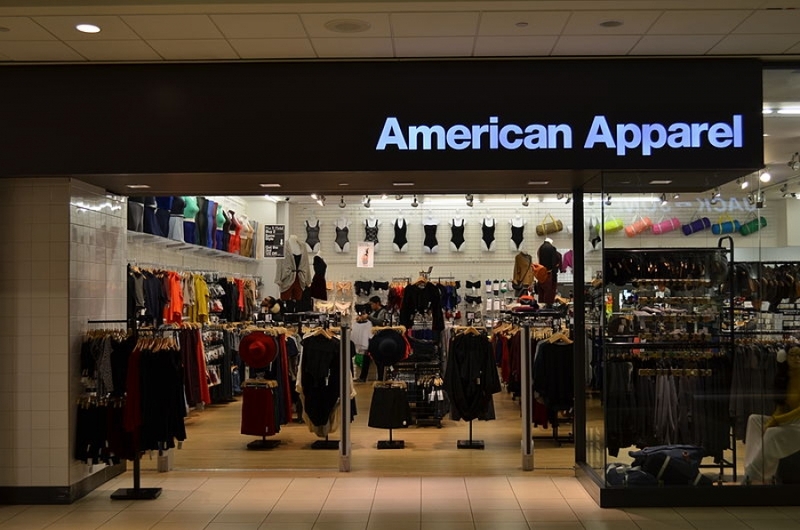 Despite the Chapter 11 filing, American Apparel has stated that the company has no plan to abandon its commitment to United States based manufacturing of their clothing line as part of its restructuring. Chapter 11 is a common tool used by corporations who find themselves in debt and are looking to restructure their finances. While typical Chapter 11 plans will last from between three to five years, some restructuring plans are drafted to settle debt sooner. When they filed for Chapter 11 bankruptcy, American Apparel had listed $199.3 million in assets and $397.6 million debt. American Apparel has since obtained $90 million in bankruptcy financing from its secured creditors. American Apparel is utilizing their Ch 11 restructuring to reduce their debt through a process known as a debt-for-equity conversion, where bondholders trade their debt for shares in the company. The restructure plan allows American Apparel to keep its manufacturing in Los Angeles as well as keep their 130 stores open across the United States. Bankruptcy Experts have recently come to the conclusion that former American Apparel CEO Dov Charney could delay the clothier’s restructuring plan. If the restructuring plan is approved by the Bankruptcy Court, the deal would eliminate the value of shares held by Charney and other American Apparel investors. In Bankruptcy Court, Mr. Charney has the right to object to the plan as a current shareholder and he is able to argue that stockholders are owed some sort of compensation. Under the current proposed plan, the shareholders will receive nothing. Mr. Charney may also vote no once the court opens up voting on the proposed restructuring deal. While bankruptcy experts agree Carney may slow down the bankruptcy proceedings, few feel he can stop it. This entry was posted in Bankruptcy News, Uncategorized. Bookmark the permalink.